First off, Monday was my birthday and the only present I got was AWESOME! Thanks to my darling wife for getting my the gift I wanted for Christmas. 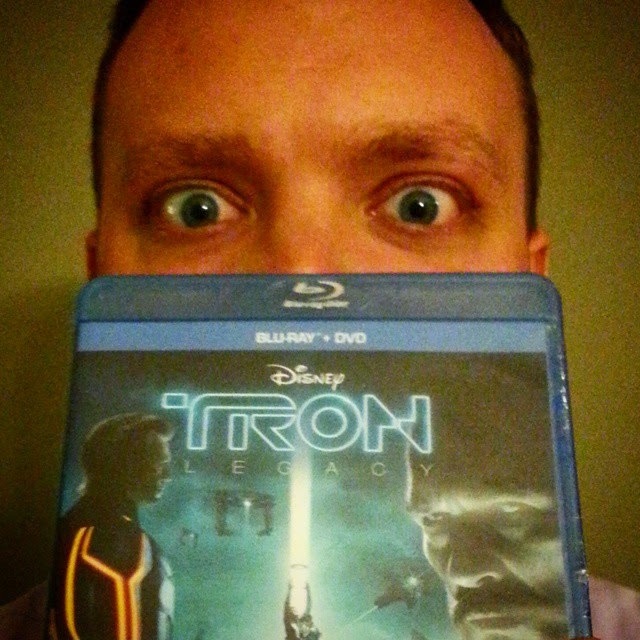 Now I get to enjoy TRON Legacy in all the blu-ray glory! That is the kinda movie I will turn on the surround sound. 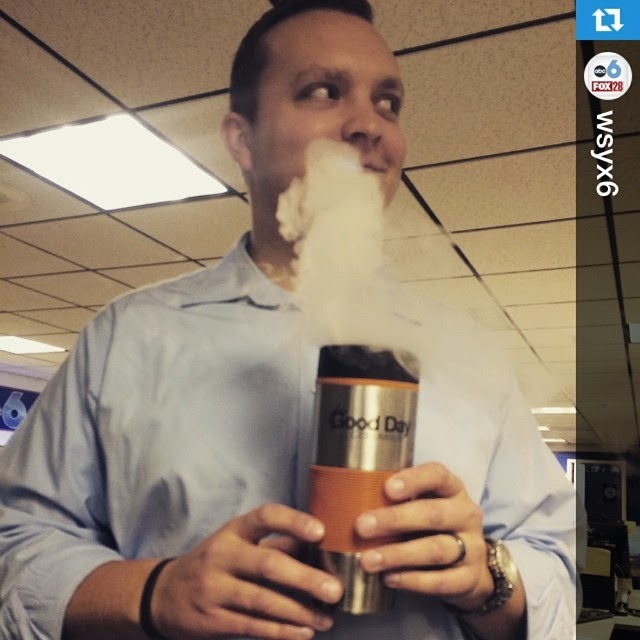 Tuesday I just got silly in the newsroom with some left over dry ice from my school visit. I put some french vanilla creamer in the water and it actually made the newsroom smell like a vanilla factory. 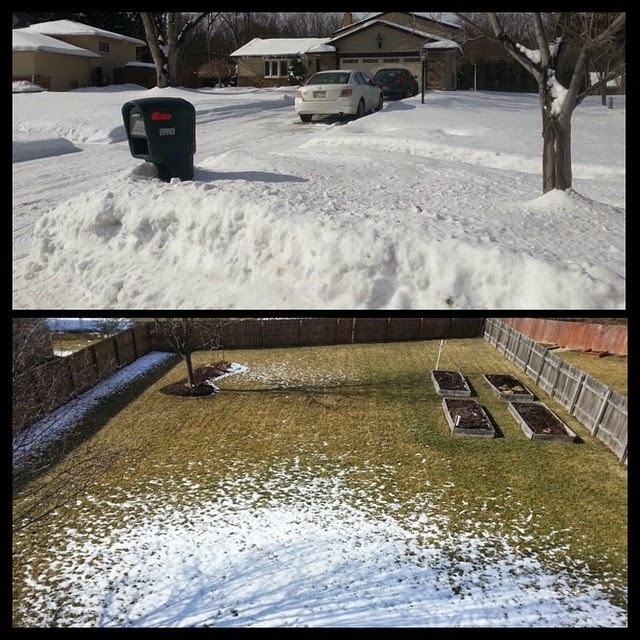 My wife sent me the top image with all the snow at her parents in Strongsville this morning. I replied with the bottom photo of the backyard. 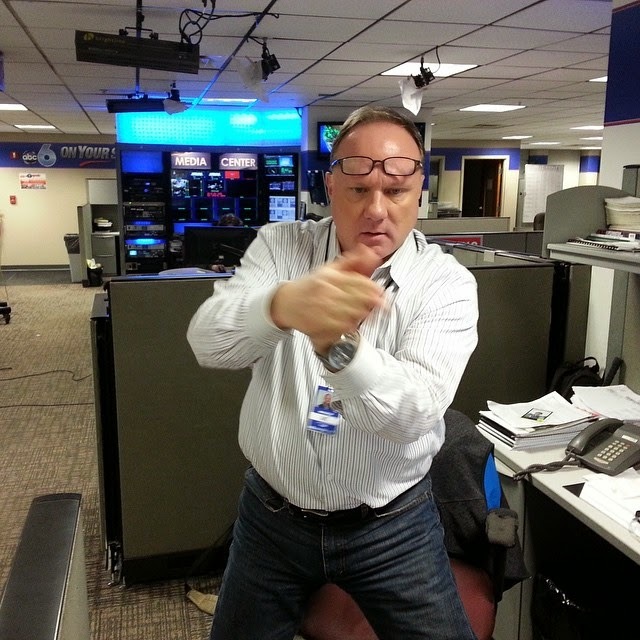 I have been having a debate on going on-air with the scruff... but I have to get approval first... 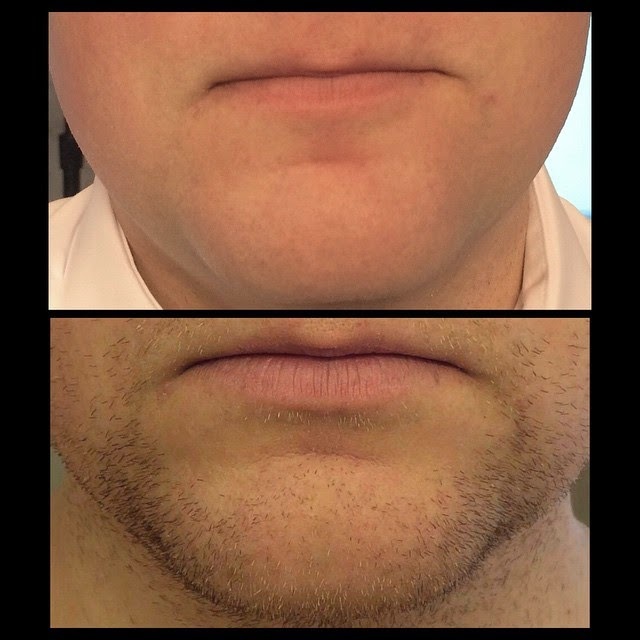 I think it would need a few more days growth. 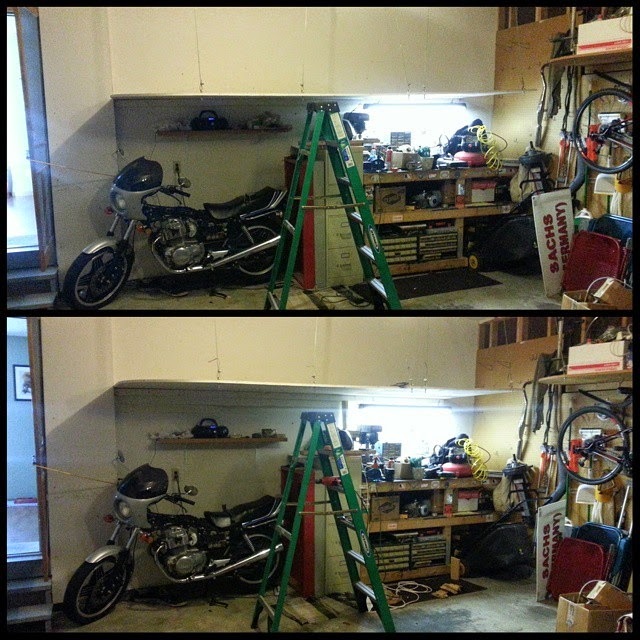 I worked a lot in the garage today with the warm temps. I first raised the top shelf 6" so I will stop busting my head. Then I worked on running electric to my work bench. Double win! I have been trying to let OSU allow me to interview some of the players on the "salmoning" that they do. But they said the students need to focus on school and not media obligations. Clay Hall ran into Pat Elflein tonight during a media obligation already planned. I can't wait to see the story. Tomorrow will be another mild day, but some light rain later in the day ahead of a cold front then quickly falling temps by Monday with some lingering light snow. Little to no accumulation for Monday... maybe a dusting, if you are lucky. Another warm-up Wednesday ahead of another cold front Wednesday night. 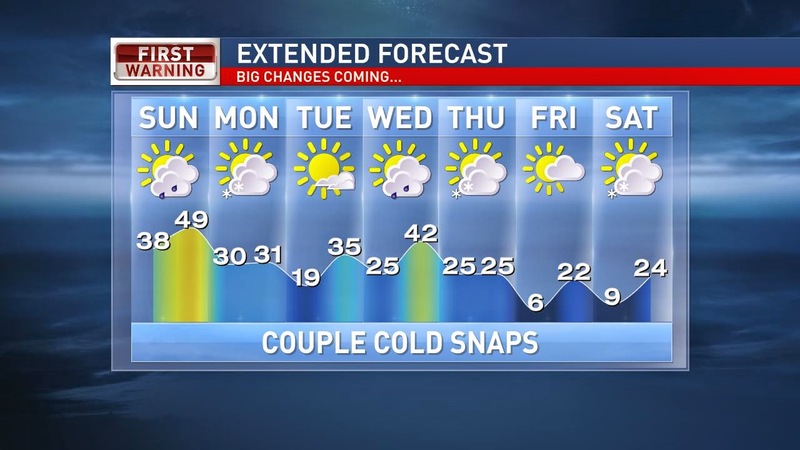 At least we are getting into the roller-coaster pattern... which will eventually lead to milder temperatures. Spring is less than 6 weeks away! Have a good one!